Here's another ice candy flavor that you'll love...Buko (Young Coconut)! I made this for my Foodbuzz 24x24 Kamayan Dinner yesterday! Check out this very refreshing summer treat! 1. 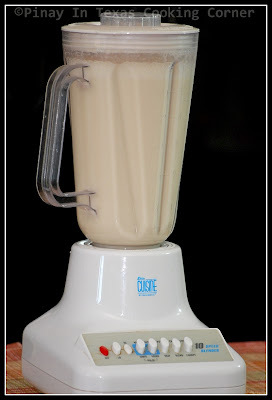 Place all the ingredients (except 1 cup of shredded coconut) in a blender. Blend until smooth. 2. Prepare 36 pcs ice candy bags. Funnel a little more than ¼ cup of the mixture into the bags. Put a few pieces of shredded coconut into each plastic. 3. Tie securely. 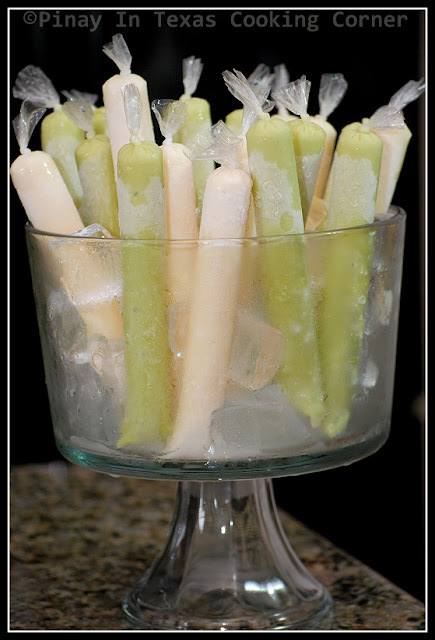 For a more detailed procedure with pictures of making ice candy, click here. 4. Freeze until well set. I've been looking for a way to replicate those single serve yogurts, as my family can't seem to get enough of them. I think ice candy bags would work great. Any recommendation where I might get them online? (I live in the boonies and the nearest Asian market is 3 hours away)! Asian cooking's always been a bit of a problem for me where the special ingredients are concerned. The first time I tried my hand at lumpia I had to make the wraps too. Part of the fun I guess! You're good hah! 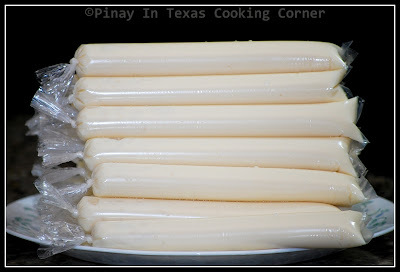 I've made tortilla wrappers but never tried making lumpia wrappers! They're so thin and I don't seem to have the patience! I see a WalMart brand of condensed milk in the pic but it isn't in your list of ingredients? Is that the 2 cups of milk you're referring to? Also would this recipe work on popsicle molds? Hi! I was supposed to use 1 *14oz. 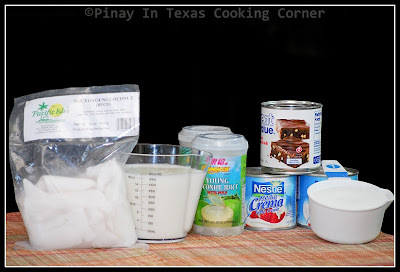 can condensed milk and 1 cup sugar that's why it's in the picture, but I decided to use 2 cups of sugar instead. For the 2 cups of milk, it's fresh milk. 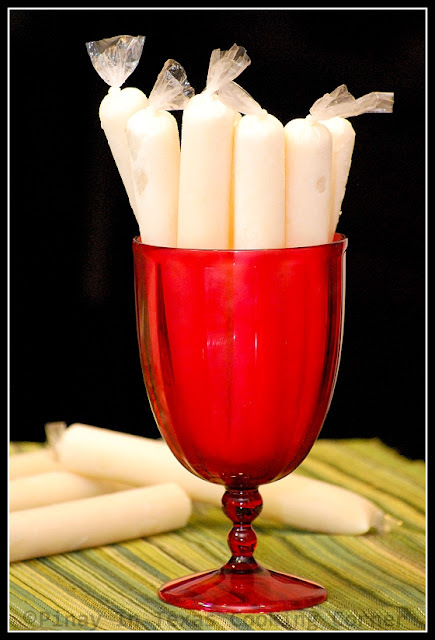 And yes, this recipe works on popsicle molds.